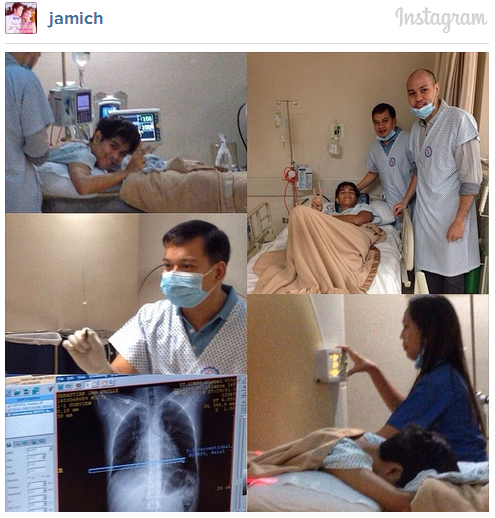 As confirmed on Jamich Instragram, Jam Sebastian has been diagnosed with cancer recently. On previous Instagram post , Sebastian doctors found a lump in his lungs and was confirmed to be a cancer after further diagnostics test done. He is now set to undergo treatment for the next 4 months with medical expenses of about 20,000php a day. He has been diagnosed with Stage 4 Lung Cancer. Jam Sebastian and Paolinne Michelle Liggayu became popular on their videos about love and relationships uploaded and published on their YouTube channel "Jamich" and gained over 72 million views and counting. Jam thanked his brother, Yexel Sebastian, for helping him for the expenses on his treatment and Paolinne Liggayu, his girlfriend, for always supporting him on his current condition. The dread and fear that can come with a cancer diagnosis were based on its killer nature with expensive treatments available and it is known to be untreatable disease. Some cancers are treatable if diagnosed on early stage and treated aggressively like breast and ovarian cancer. We hope that the treatment will be successful and see Jam on their future love team videos on youtube and inspire more their fans and followers.